A-HOTEL.com - Luxury and cheap accommodation in Pantin, France. 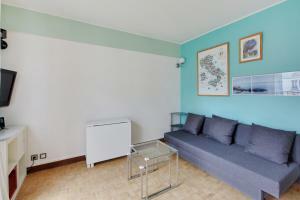 Prices and hotel, apartment booking in Pantin and surrounding. This indicative offer was derived from the most recently booked accommodation in Pantin and sort by the price, from cheapest Pantin accommodation to the most expensive hotels. To select accommodation by your preferences we recommend to choose from 8 accommodation offers in Pantin in total. By entering the dates of your overnight stay in Pantin and using the filter tools you can sort the best possible accommodation for you. The entered dates of your stay are crucial for the most accurate offer as it derives all the online information on pricing and availability of Pantin accommodation. Then you can book the selected Pantin lodging (hotels, apartments etc.) immediately. Located near the Parc de Villette and the Canal de l’Ourcq, this aparthotel is 20 metres from the Eglise de Pantin Metro Station, which leads directly to Gare du Nord Station. It offers studios and apartments with equipped kitchens. Featuring free WiFi throughout the property, Art Hotel Paris Est is located in Pantin, 400 metres from Zénith de Paris and 550 metres from Hoche Metro Station. The air-conditioned units feature a flat-screen TV with cable channels and a kitchenette with a microwave, a toaster and a fridge, as well as a stovetop and a coffee machine. Canal Suites hotel-residence is a 15-minute walk from the Parc De La Villette and offers direct access to the centre of Paris by car, metro or RER (regional train). Stade de France Stadium is also a 30-minute metro ride away. Located just 80 metres from Raymond Queneau Metro Station, this air-conditioned hotel offers a shaded terrace in the courtyard. Free Wi-Fi and a large LCD TV are provided in the soundproofed rooms. The ibis Paris Pantin Eglise is 20 metres from Église de Pantin Metro station. It offers air-conditioned rooms, free WiFi throughout, and safety deposit boxes are available at the reception. This low-cost hotel is ideally located in the North-East of Paris, with Pantin RER Train Station just 500 metres away and 850 metres from Hoche Metro Station. It offers modern guest rooms with a flat-screen TV. Campanile Paris Est – Pantin is located in Pantin, near Paris’ 19th arrondissement, and has a 24-hour front desk and free Wi-Fi access. It is just 50 metres from the Hoche Metro Station, which leads directly to the Avenue des Champs-Élysées. Located next to Hoche Metro Station (line 5), this Mercure Hotel is a 10-minute walk from the Parc de la Villette in Paris. Just 250 metres from Porte de Pantin Tramway Station, it offers a fitness centre. Featuring free WiFi, B&B Hôtel Paris Porte de la Villette is situated in the 19th district of Paris, 1.4 km from City of Science and Industry and the Philarmonie de Paris. Hotel Agorno Cite de la Musique in Paris features accommodation with a shared lounge. Built in 1900, the property is within 3. Located opposite the City of Science and Industry, hotel Forest Hill Paris la Villette offers accommodation with free WiFi just a 5-minute walk from Ourcq Canal. Each guest room is equipped with a flat-screen TV with satellite channels, radio and a telephone and a minibar. Located 4 km from La Cigale Concert Hall and 5 km from Pompidou Centre, Charming Flat in Paris - Villette offers accommodation situated in Paris. The property is 6 km from Sacré-Coeur and 6 km from Opéra Garnier. This residence is located opposite Parc de la Villette and Cité des Sciences et de l'Industrie. It offers furnished apartments with a fully equipped kitchens just 150 metres from Porte de la Villette Metro Station. Guido is set in Paris, 5 km from La Cigale Concert Hall, 6 km from Pompidou Centre, and 6 km from Opéra Bastille. Guests staying at this apartment have access to a fully equipped kitchen. Featuring free WiFi and air conditioning, Hipark by Adagio Paris La Villette offers accommodation in Paris with private parking on site. Each studio or apartment features a satellite flat-screen TV and a fully-equipped kitchen, fitted with a dishwasher and a microwave. Located on the edge of Canal de l’Ourcq and 400 metres from Cité des Sciences, ibis Paris La Villette Cité des Sciences is a 24-hour reception hotel with an international restaurant and a bar. The rooms at ibis Paris La Villette Cité des Sciences have a satellite TV and a telephone. Located in Le Pré-Saint-Gervais, just 2 km from Buttes Chaumont Park, Hôtel Rachel offers a garden and luggage storage. Pré-Saint-Gervais Metro Station is only 600 metres away and offers direct access to the Canal Saint-Martin. The Appart'City is located a 5-minute walk from the Cité des Sciences de La Villette and a 10-minute walk from the Zénith. All well-equipped apartments have a living room, a desk area and a satellite TV. Charmant Studio avec Parking#Paris 19 is situated in Paris, 3.7 km from La Cigale Concert Hall, 5 km from Pompidou Centre, and 5 km from Sacré-Coeur.